Heir to an esteemed cultural legacy, Isabella Frongia is a living testament to the handweaving traditions of her family and Samugheo, Sardinia, Italy. In a town known for its textile heritage and production, Isa’s is the only professional studio where textiles are still woven entirely and exclusively by hand. Born and raised among fibers and looms, Isa naturally acquired and mastered the art of her mother, Usanna, a handweaver of renowned skill. In 1960, Usanna heralded the transformation of handweaving into a profession by boldly opening a fully-equipped professional handweaving studio at a decisive moment when the advent of electric powerlooms was making obsolete what had previously been a domestic art and everyday activity of Sardinian women. In 1995, Isa assumed management of the studio, working with her cousin Annamaria to carry forth the traditions and quality for which the studio is known. Then — as now — working under the wise wise guidance of Usanna, the women bring expertise and sincere passion to their art. The women and the textiles they create are acclaimed: The weavings embody the women’s masterful knowledge, display their unsurpassed skill in realizing Samugheo’s intricate and unique handweaving techniques, and exhibit an espressive originality that maintains a cohesive thread of continuity with the past. Representing the pinnacle of handweaving skill and excellence that characterizes Samugheo, the studio participates in the principal shows and festivals throughout Sardinia, including the renowned annual Festival of Sardinian Artisans. All textiles created by Isa’s studio are woven by hand, and are characterized by superb craftsmanship and the application of refined techniques. Rugs, bedspreads, curtains, towels, and pillow shams are woven on a collection of diverse hand looms and incorporate a selection of high-quality natural fibers. Cotton and wool are the primary fibers, intermixed with linen. The textiles created by Isa Frongia’s studio are woven entirely and absolutely by hand. All phases of weaving are completed with care and attention, within the walls of Isa’s studio. The primary weaving techniques used are traditional to Samugheo: pibiones (raised bumps of thread singly counted and meticulously wound around individual weft threads to create a pattern); tauledda (fibers laid over multiple weft threads to create a pattern), and pannu pranu (a sturdy double weave). 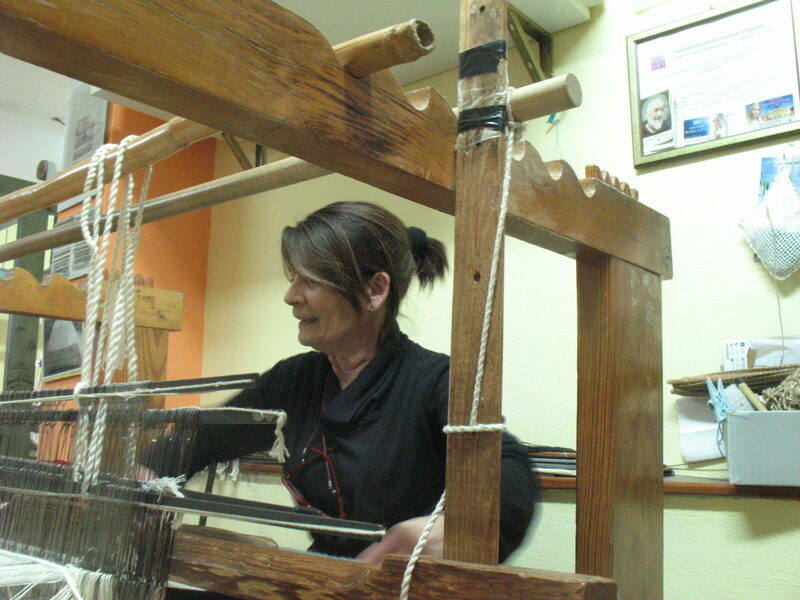 Sardinian handweaving is notable because of the multitude of weaving techniques and diverse types of handlooms found across the island. Each town has traditional patterns and techniques that characterize and make unique the local weavings. The common element to nearly all traditional handweaving is the use of wool from Sardinian sheep. 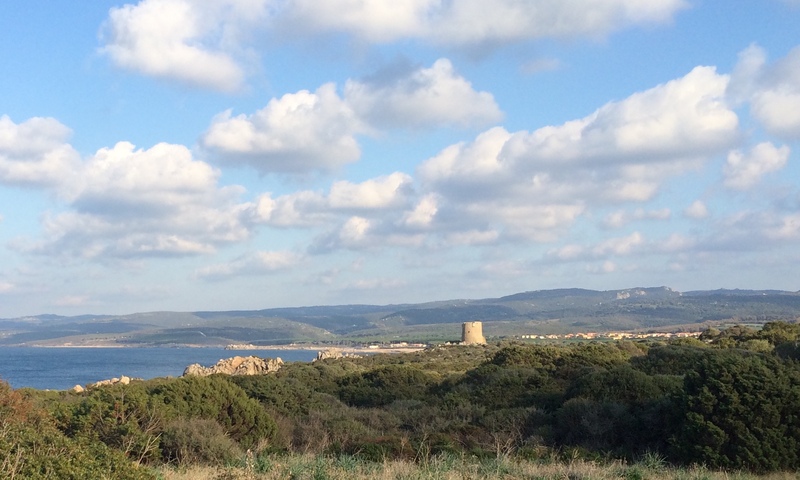 Sardinian handweaving is also unusual because the art of handweaving is respected, curated, and conserved. The handweavers have transformed their art into a source of income, and the handwoven textiles they make are respected around the world. Unfortunately, commercial textiles — mass-produced in computerized factories and made in a smaller scale in shops using electric powerlooms — complete with weavings made completely by hand. The commercially-produced textiles reproduce traditional designs and simulate weaving techniques used by handweavers, yet the commercial textiles are produced in bulk, created in minutes rather than days, and sold at a low cost — yet misleadingly marketed as “authentic, handwoven textiles”. This practice only serves to denigrate the authenticity and quality of all textiles, especially the handmade. However, those with a trained eye can discern a truly authentic handwoven textile, noting the quality, care, and attention to detail the handweaver infused into the textile. Of the diverse items we weave, those most requested are also those we most enjoy making: bisacce, the traditional Sardinian saddlebags with two pockets, and copriletto, bedspreads woven using the most highly detailed, tightly woven pibiones* technique. These items demand much time, skill, and attention to detail, yet in the end these are also the textiles that are the most satisfying to weave, because each one is original and unique. Having been raised in the culture of handweavers, my dream when I was young was to do something different: study at the conservatory, become a pianist, and take up a musical career. Yet now I am proud that I continue to carry forward the art of handweaving, preserving the authenticity of this art and the skills I acquired from my mother, Susanna. * Pibiones are tiny bumps of hand-wound fibers woven into a textile to create a beautiful design and give durability. Pibiones are characteristic of Sardinian weavings, especially in Samugheo. See Weave Weft of Time to understand the skill, time, and concentration this technique requires. Please contact us or Kelly for photos.